At once harsh and charming, gray and colorful, old and new, Belgrade oozes contradiction. Change, creativity and youth permeate the air while a war-torn past, political strife and a sluggish economy sit heavy on the ground. 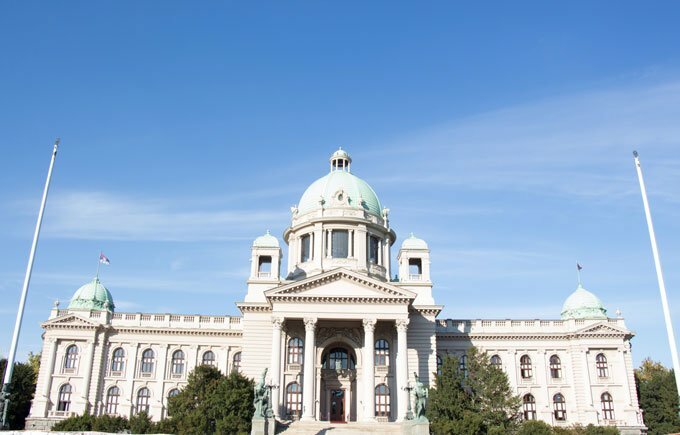 As a visitor, there are plenty of things to do in Belgrade that will give you a glimpse of it all, whether you’re looking to imbibe the famous Belgrade party scene or explore its history, art and culture. Historically, Serbia was a battleground between a number of empires, most notably the Ottomans and the Austro-Hungarians. The clash of cultures can be seen, heard and tasted all over Serbia, and Belgrade is no different. The city has fallen to ashes and risen up time and time again in its tumultuous history. There’s an undeniable character found in places like that. 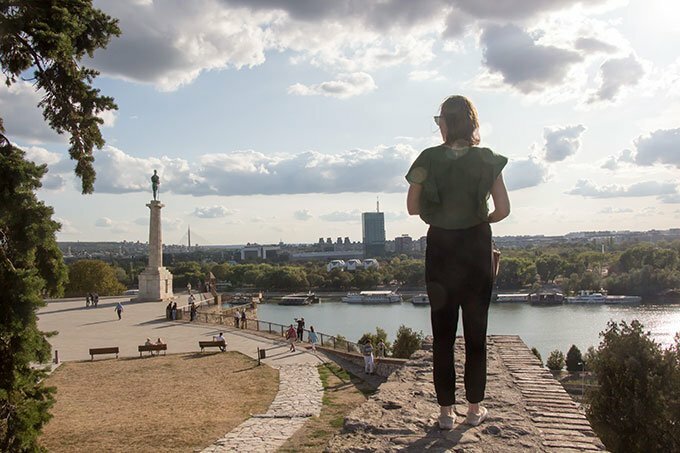 Belgrade, or Beograd as it’s called locally, is a fascinating city; one that deserves a spot on your Europe bucket list. 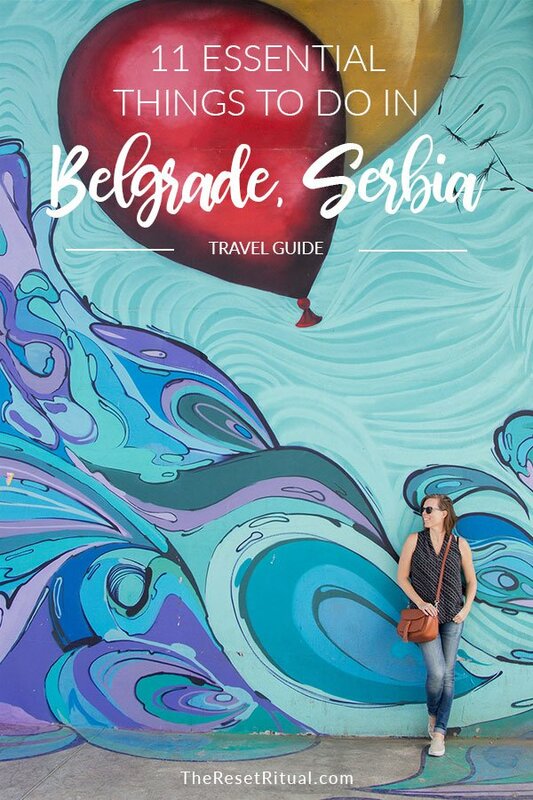 Wondering what to do in Belgrade? Here are my favorite highlights. Indulge in one of the Serbs’ favorite pastimes: sipping a leisurely coffee with friends at an outdoor cafe. There’s no rushing here, just enjoying each others company. Not into coffee? Try a local craft beer, a pastry or a tea in a bookstore that doubles as a cat cafe. Time for lunch? Grab my recommendations for where to eat in Belgrade here. 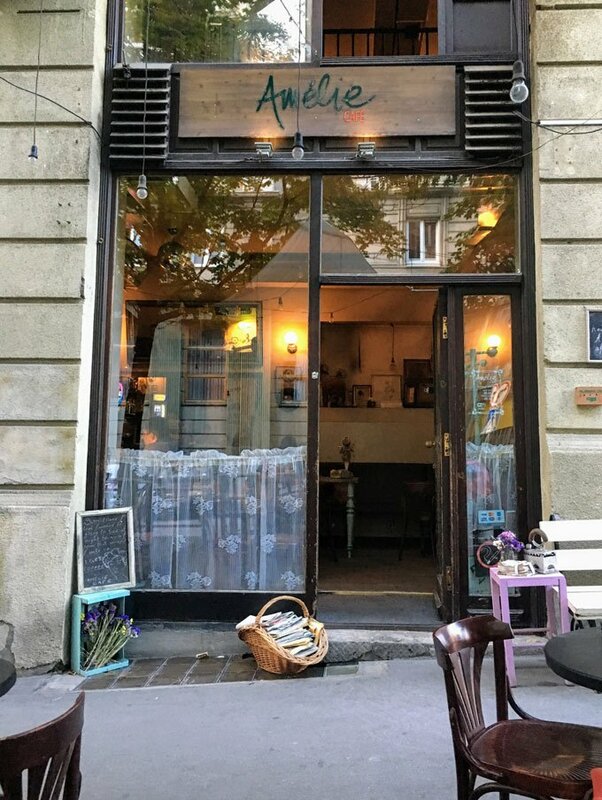 Cafe tucked away off the streets of Belgrade. At the intersection of the Sava and Danube rivers lies the Kalemegdan, Belgrade’s medieval fortress and surrounding park. Explore the citadel and enjoy the amazing views of the city. Then walk along the river, stopping by the Pobednik statue (meaning The Victor), representing the Serbian defeat over the Austro-Hungarians and Ottomans. Then take a rest at one of the many cafes and bars. View of “The Victor” statue from the Kalemegdan fortress. 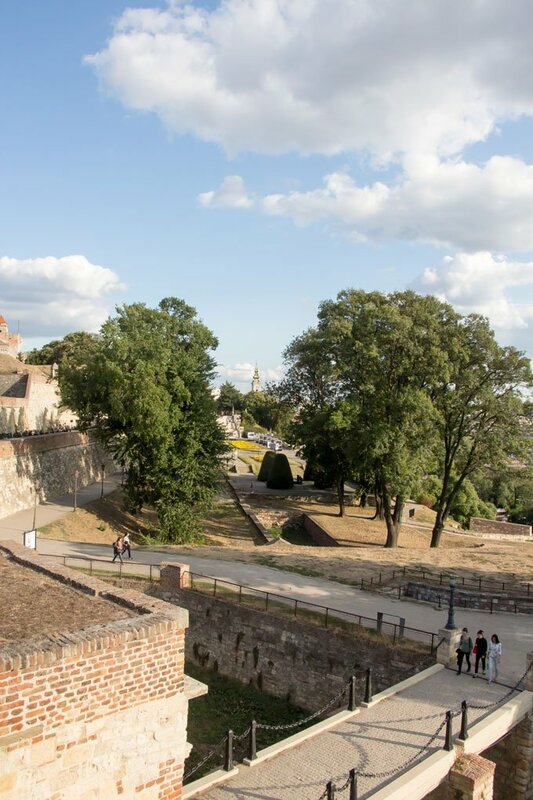 The areas surrounding the Kalemegdan are some of the oldest yet coolest parts of the city. After you’re finished exploring the fortress, head toward Republic Square. On the way, you’ll come across the most charming part of town, with narrow, cobblestone-laden streets. 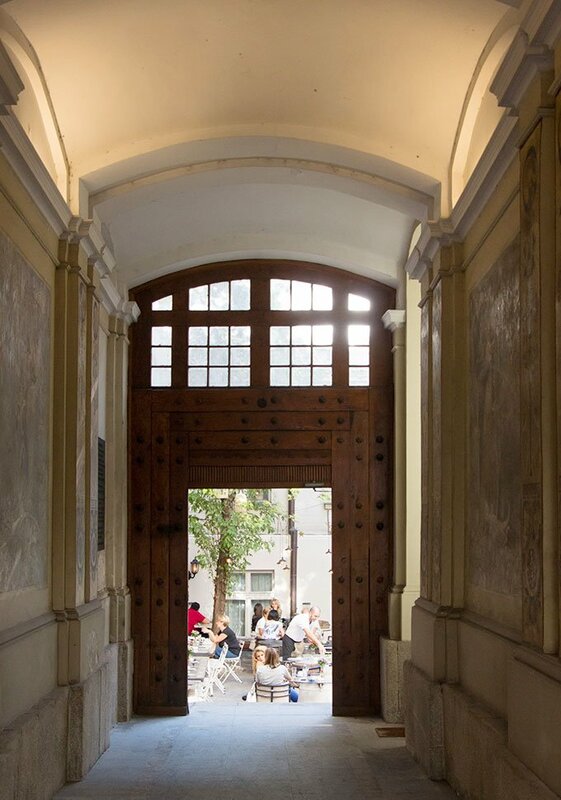 There are tons of cute cafes, restaurants and ice cream shops among the restored buildings. If shopping is your thing, head to Knez Mihailova Street. 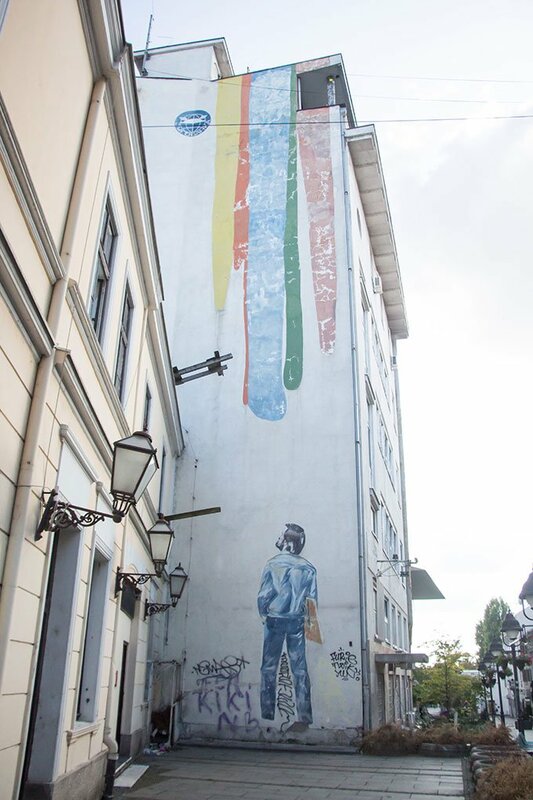 Or if you’re more into the creative pulse of the city, head to the Savamala district where there’s plenty of galleries, cools spaces and places to party. 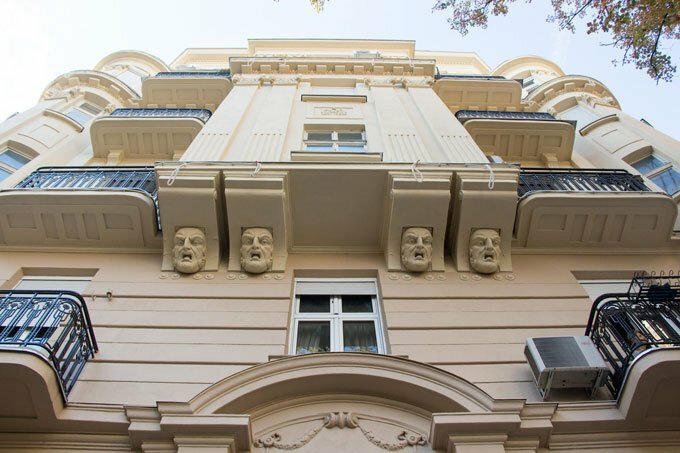 Also nearby is Skadarlija Street, the “bohemian quarter” of Belgrade. 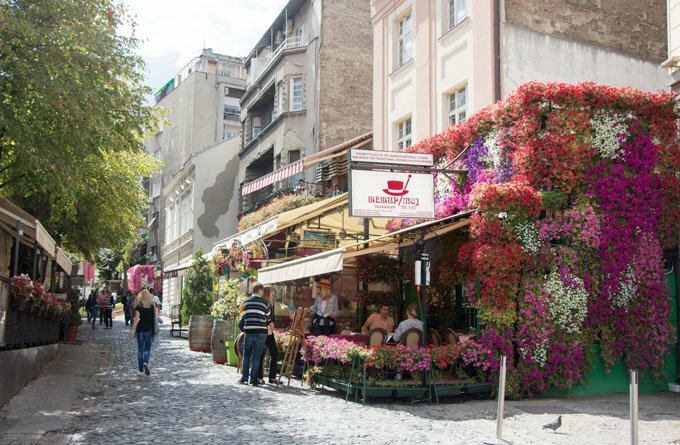 It’s definitely worth it to take a stroll down this street and admire the pretty flower-covered restaurants. Of course, there are plenty of bars to enjoy some Serbian rakija too. While very charming, it’s also very touristy. You’d be much more likely to meet partying backpackers here than locals. Cafe-lined streets in the Stari Grad. Skadarlija Street, cute but touristy. This large square in the city center has that traditional European feel with prominent statues, the National Museum, the National Theater and a lot of hustle and bustle taking center stage. 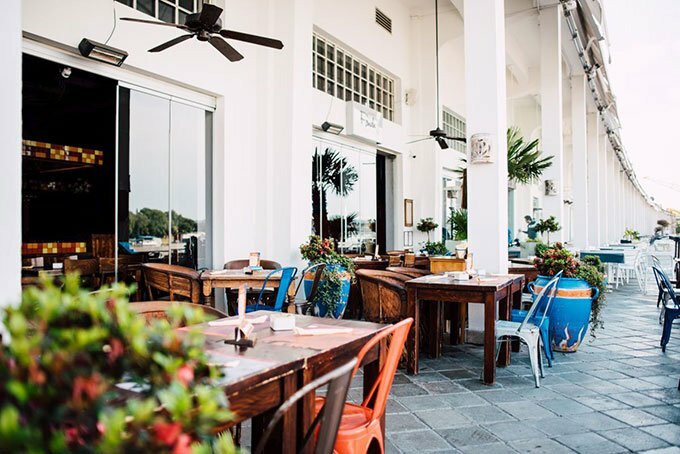 You’ll find plenty of restaurants, lounges, and cafes to watch the world go by. Nearby you can find the National Assembly in Nikola Pašić Square. There’s plenty to do outside of the Stari Grad too. 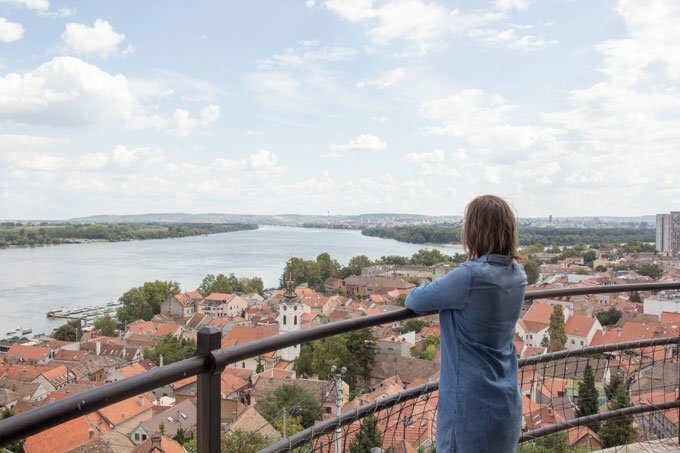 A bit farther afield in Zemun, you can climb to the top of Gardoš Tower and enjoy sweeping views of the city and Danube river. Getting there is a bit of a climb, but half the fun. The houses surrounding the tower are colorful with Spanish tile rooftops, giving it almost a Mediterranean feel. Views for days from Gardoš Tower. Serbian’s are certainly proud of their most famous export, the Serbian-American scientist Nikola Tesla, best known for his work in alternating current electricity. The Tesla Museum is small but packed with unique mementos from both his work and his life. The staff does tours in English throughout the day so make sure to join in. You’ll get a lot more out of it, and get to participate in fun experiments too. 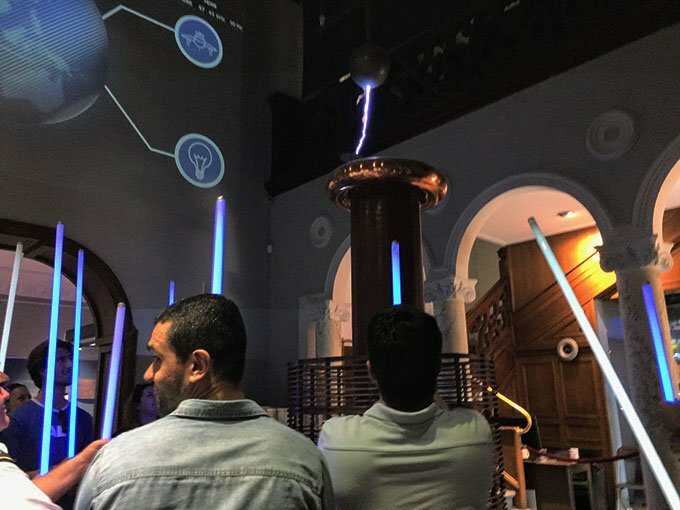 Playing with electricity at the Tesla Museum. I think Belgrade is one of the most graffitied places I’ve ever seen…in a good way. There’s street art on nearly every blank surface. 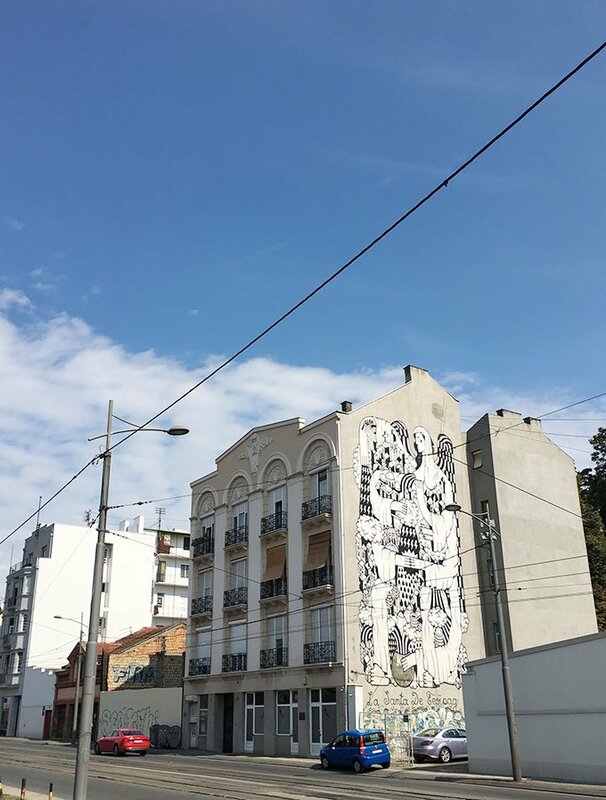 Perhaps the most intriguing, and certainly the most well-known, is this one called La Santa de Beograd by French artist Remed. So you’re going to Belgrade to party? You’re not alone. 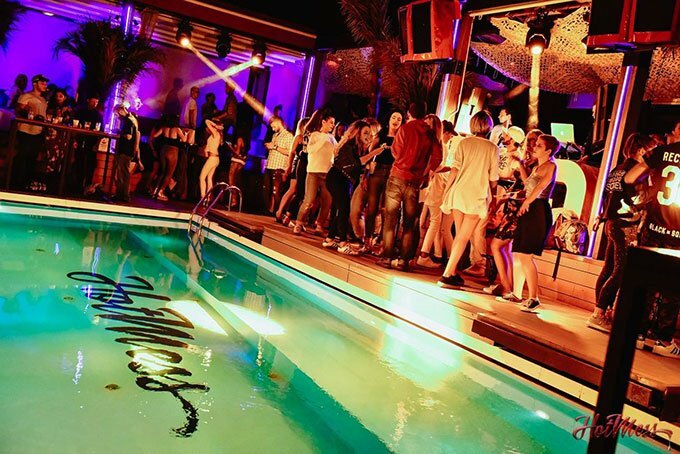 The city has become known as the party capital of Europe and you can pretty much point that to one aspect of Belgrade’s nightlife: splavs. A splav is a floating nightclub docked on either the Danube or the Sava river. In the summertime, these barges boast massive parties that last all night long, every day of the week. From 90’s themed to national folk music, there’s a splav for everyone. Party at Hot Mess splav (image). If you’re in the mood for a more refined evening, head to Beton Hala, a stretch of design-focused, multi-level, trendy restaurants. The cuisines range from Mexican to Asian and Italian. Located at the Belgrade port, you’ll see a lot of locals mixed with passengers from the Danube river cruises. Outside Cantina de Frida restaurant in Beton Hala (image). Once an island in the Sava River, Ada is now a man-made peninsula with two dams connecting it to the mainland and forming what’s known as Lake Sava. Come summer this place gets packed with people sunbathing, water skiing, rollerblading and even bungee jumping. 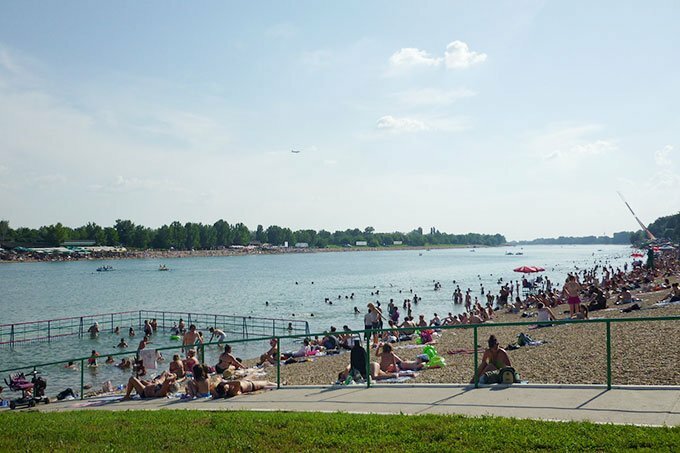 And in true Belgrade fashion, there are also plenty of restaurants and bars along the shoreline. Summertime hangs at Ada Lake (image). 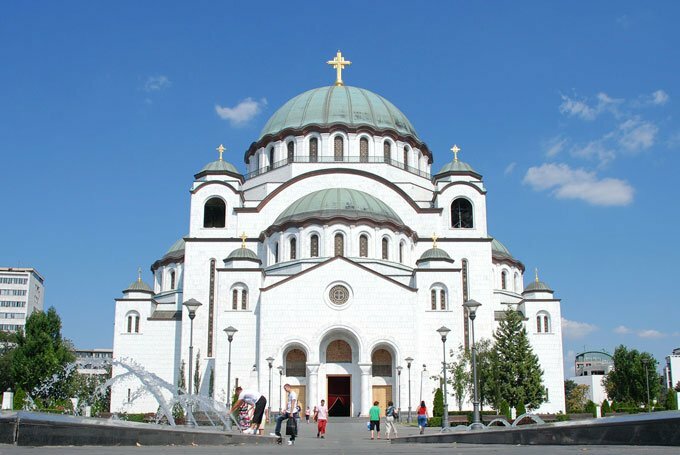 St. Sava was the founder of the Serbian Orthodox church, so it’s suiting that his namesake church happens to also be one of the biggest Orthodox churches in the world. It’s a beautiful building with ornate architecture worth a visit even if you’re not a fan of visiting churches. Beautiful (and big) St. Sava cathedral (image). Is Belgrade on your must-see list? What excites you most? The history, the creative culture or the partying?